Ever wondered what the heads of these huge multinationals were like growing up? We’re sure you have, mainly because we have, too. In fact, it’s the reason we were so interested to hear that new photos have appeared online of none other than the head of Apple, Tim Cook, as he worked his way through the education that saw him become one of the highest profile men in business. Hot on the heels of images that showed his predecessor, Steve Jobs, on his triumphant return to Apple in the late 90s, these images give us a rare insight into the young Tim Cook or, at least, how he looked growing up! 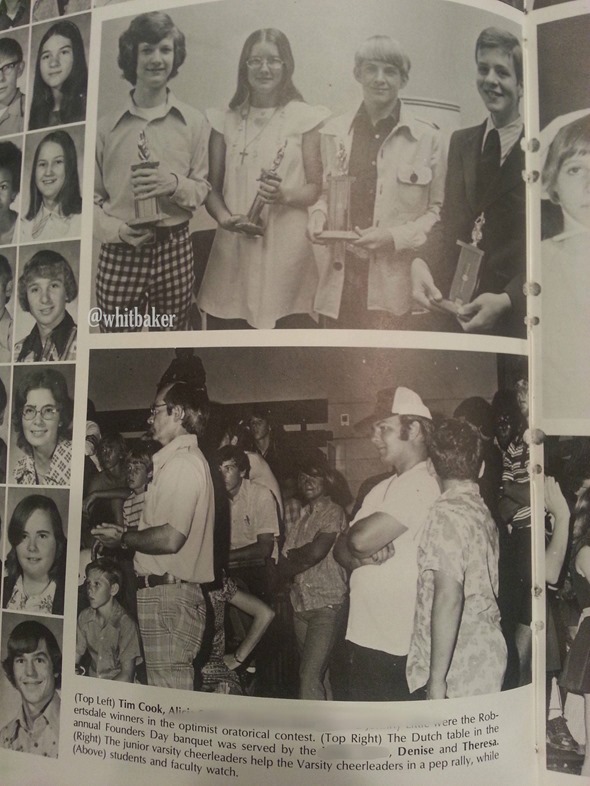 The images, from Cook’s 1975 and 76 high school yearbooks, have shown up on Reddit of all things after a user going by the name of Whitbaker made them available. 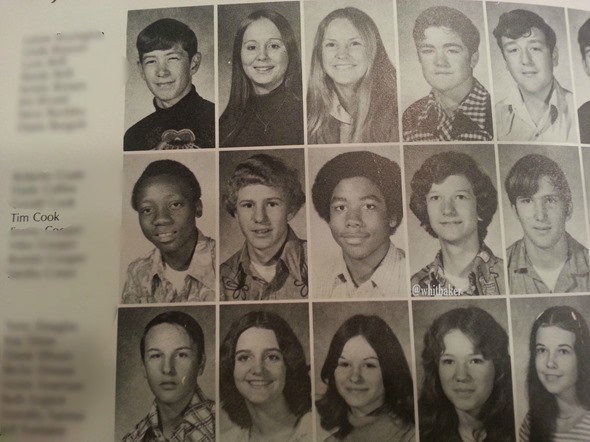 "Tim Cook attended the same high school as my mother, and she spoke highly of him. 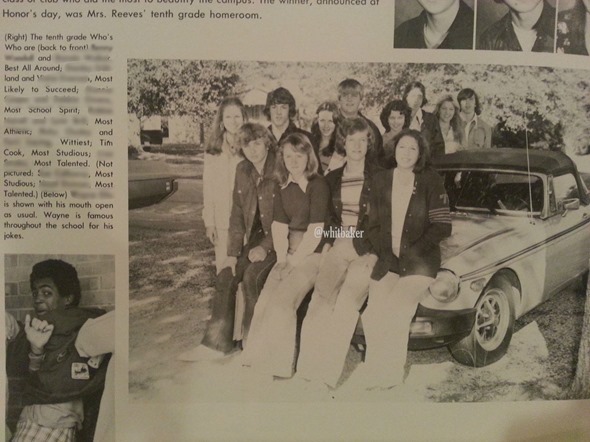 These are pictures from the 1975 and 1976 yearbooks from Robertsdale High School in Robertsdale, Ala. She passed away in February 2011, but was following his success in Apple, and was quite proud (she was two years older). 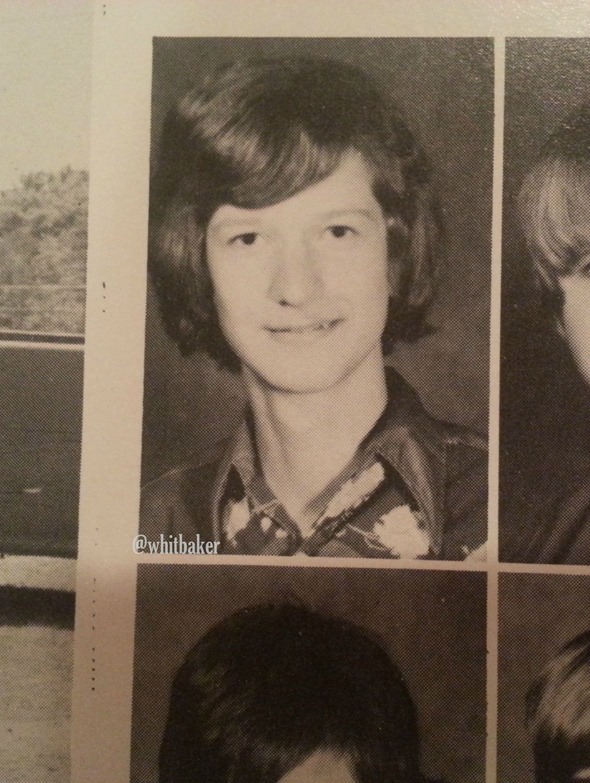 She served as editor of the yearbook her senior year, and he was part of the yearbook staff. " So there you have it. 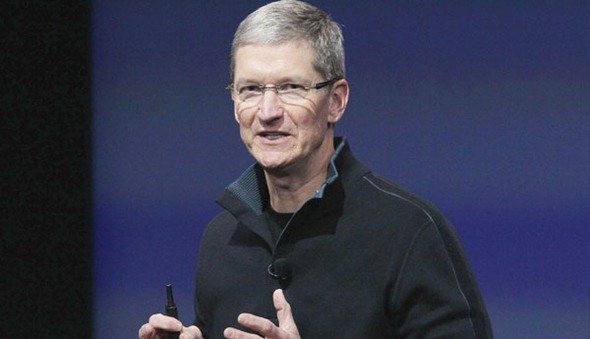 We’ll add Whitbaker’s mother to the list of Tim Cook’s fans, shall we? Whilst we’re at it, we’ll strike off anyone that work’s for Samsung as well. 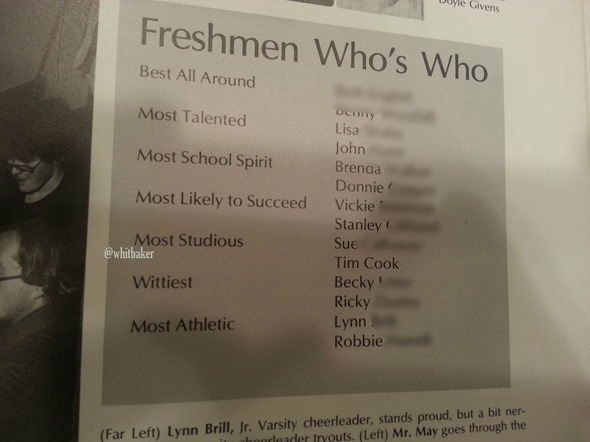 Unsurprisingly, the images show that Cook was the recipient of the ‘Most Studious’ award two years running. That’s obviously something that stood the young Mr. Cook in good stead throughout his years at Apple, culminating with the man being awarded the big job after Steve Jobs’ passing. If anyone ever needed proof that being a good student in school was a good thing, they should perhaps look to Tim Cook as a shining example of how things can turn out. Of course, Silicon Valley is littered with people who did just the opposite and still went on to become millionaires, so perhaps it’s just proof that if you’re good enough, good things will happen regardless of how you do at school. We’re sure teachers the world over won’t want to admit that, though.